Alpine Bank, Member FDIC, is an independent, employee-owned bank, which has been a part of the Western Slope for more than 45 years. In a time of impersonal banking giants, Alpine Bank stands out as a full-service community bank with the personal touch–delivering the full range of personal, business, wealth management*, mortgage and electronic banking services. With 39 convenient locations (including five in greater Grand Junction) we serve over 135,000 customers from Durango to Denver. Our customers tell us doing business with employees who actually own the bank makes all the difference. They cite our friendly service, flexibility in creating tailored solutions, timely local decision-making and a long-term commitment that means customer relationships with Alpine which often span decades. Many of our employees and managers have been with Alpine Bank for 10 years or longer. Many of our founding Board of Directors still serve, including Chairman Bob Young. Because we are not a banking behemoth, our size and streamlined organizational structure allows us to make local decisions in a timely manner. With online banking, bill pay, mobile banking with check depositing, credit cards, a network of over 43,000 ATMs nationwide, cash management, health savings accounts, remote deposit capture, and consumer and business loans, Alpine Bank understands our customers want a diverse range of products that meet the demands of their busy lifestyles. Founded on the principal of giving back to our communities, we strongly support nonprofits in the 28 Colorado communities where we work, live and give back as volunteers. Community events, the arts, the environment, animal shelters, sports, recreation and particularly children and education have been the focus of Alpine’s philanthropy. In addition to bank donations of more than $3.7 million last year alone, each Alpine employee is given 24 hours of paid volunteer time annually and many provide their time and talent beyond this. In 2017, bank employees donated more than 14,000 hours in their communities. The only U.S. bank to maintain strict ISO14001 certification of its environmental standards and practices, Alpine continues to reduce energy consumption, create sustainable buildings and proudly work to protect Colorado’s precious resources. We continue to enhance our rigorous environmental management system, which earns regular recognition for environmental leadership in Colorado. Alpine Bank Wealth Management focuses on comprehensive wealth and investment management for individuals, corporations and organizations. At Alpine Bank Wealth Management, you not only benefit from sound investment expertise, you work with our diverse team of investment professionals who are held to the highest standard of fiduciary responsibility. In many relationships, we act as corporate trustee and those responsibilities bring with them the highest level of oversight. Contact our investment team today at 877-808-7878 to discuss your wealth management goals. *Investment products are not FDIC insured. May lose value. No bank guarantee. ANB Bank is an independent community-focused bank with the strength, talent, commitment and security to fulfill business and personal customers’ financial needs, whether it is through our full array of deposit services, or loans for construction, land, commercial real estate, or mortgages. Within ANB Bank there is also a division for ANB Financial Services*. ANB’s experienced investment management and trust professionals provide strategic financial advice and management to individuals, families, businesses and charitable organizations. As a trusted local financial institution, our success is defined by the strength of the relationships we build and maintain with our clients (and their advisers) through effective communication and the delivery of customized financial solutions. Our Grand Valley Banking Centers have a sincere desire to serve our customers through our people, services, and ongoing commitment to helping our community grow. We employ knowledgeable local staff who deliver an exceptional level of personalized service to our customers. Anthem Blue Cross and Blue Shield is committed to being your trusted health care partner. We have been working in Colorado since 1938. We are local: We live here and work here, and we see the same doctors that you do and currently serve over 1 million members throughout the state, and employ more than 2,000 associates in Colorado communities. With local service and the efficiency of the Blue Cross and Blue Shield brand, we have a first-hand understanding of your health care needs and concerns, and we deliver real value – now and for the long term. You can count on us for innovative technologies such as LiveHealth Online, which offers members access to a board-certified doctor online anytime from a smartphone, tablet, or computer with a webcam. LiveHealth Online also offers convenient online face-to-face visits with a licensed psychologist or therapist. Our health plan companies deliver quality products and services that give our members access to the care they need. With more than 73 million people served by our affiliated companies nationwide, including approximately 40 million within our family of health plans, Anthem is one of the nation’s leading health benefits companies. We offer a variety of health plans and network options for large and small business as well as for individuals. For more information, visit www.anthem.com. Bank of Colorado – While there are many banks in Colorado, there’s only one Bank of Colorado. Our deep community roots and our great people give us the ability to better understand our customers. So while any bank can offer online banking, only Bank of Colorado can ask how online banking can help our customers make the most of all the opportunities Colorado has to offer. And while anyone can offer business loans, Bank of Colorado understands the different needs business owners might have. Bank of Colorado is large enough to take care of all your financial needs but small enough to care about great customer service. We have been helping businesses, farms and families grow for four generations. By staying true to our values and making customer service a priority, we continue to be here day after day, year after year, to bring you the best banking experience possible. Our bank is committed to our community by offering excellent service, community sponsorships, and employee volunteerism. We are proud to call ourselves the Bank of Colorado-There’s Only One. Powerful resources – reliability – friendly. Bank of Colorado is a hometown bank that is big enough to have all the tools, but small enough to make a personal difference. Bank of the San Juans, a division of Glacier Bank is a regional bank with 3 banking branches in Grand Junction and 17 branches throughout Colorado. As a division of Glacier Bank with total assets of $11.9 Billion and 164 locations throughout 7 states; Bank of the San Juans prides itself with the personalized service of a true community bank with all of the capabilities of a large bank. Consistently ranked in the Top 10 by Forbes for America’s Best Banks, we offer sound banking practices while understanding the needs of our customers and community. Our motto is “One Big Happy Little Bank” with full banking services including depository services, cash management services, consumer and commercial lending services, construction lending, and merchant services. With banking roots in Colorado for over 100 years, Bank of the San Juans has a true commitment to customer service above all else with a continued tradition of always putting our customers and communities first. With local decision making and autonomy; Bank of the San Juans understands the importance of a handshake, a smile, and honest, straight-talk. These personal touches may be old-fashioned and certainly rare these days, but really it’s simple; We place emphasis on both being happy and making others happy. We treat everyone who comes through our doors like family. We take time to understand your financial goals. From loans to checking accounts to savings strategies—ultimately, we exist to help people achieve their dreams. It’s amazing what a little happy can do. We invite you to stop in to any one of our Happy Little Banks and discover the Home of Totally Free Checking. Member FDIC and Equal Housing Lender. Ironically, common sense has never been all that common. If it were, banks would only sell you what you need. Everything would be fair, without all of the fine print. And, when your banker looked at you, they wouldn’t just see a number, they’d see a dad, or a mom, or a graduate, or a business owner. That’s why at Community Banks of Colorado we understand the complexities of people’s lives and offer simple solutions. Common sense is about more than banking. It’s about putting interaction before transaction. Being friendly and staying sincere isn’t just how we do business, it’s who we are. It’s part of our Common Sense Philosophy and keeps us connected to our community – big or small – on a personal level. That’s why at Community Banks of Colorado we understand the complexities of people’s lives and offer simple solutions. There are many banks in Colorado, but none can deliver throughout the state like we can. Our focus is providing friendly and personalized service you would expect from your community bank. To connect with a Community Banks of Colorado banker, give us a call at 970.263.8800. To find the nearest banking center or ATM, visit us at cobnks.com/locations. Community Hospital in Grand Junction, Colorado, is a full-service, acute-care hospital. As part of the Colorado West Healthcare System, we are a Level III Trauma Center that offers full outpatient diagnostic services and inpatient care for the Western Slope region of Colorado and eastern Utah. Community Hospital brings together expert staff and world-class technology in a healing, family-centered environment. Community Hospital provides a full range of medical services, including inpatient and outpatient surgery, comprehensive medical and radiation oncology treatment, in partnership with University of Utah Health and Huntsman Cancer Institute, labor and delivery services for both low and high risk births, orthopedic care, emergency care and much more. We have comprehensive diagnostic capabilities: state-of-the-art ultrasound, CT, digital mammography, including 3D tomosynthesis and cardiac testing. We pride ourselves on delivering personalized care to our patients, and in working closely with physicians and other providers in treating the whole person. This approach has resonated with our patients, and we are growing to meet the community’s demand. In just the past year, over forty new providers have chosen to join Community Hospital. More than half of our new providers have moved to Grand Junction from outside the area to live, work and play in the Grand Valley and experience all it has to offer. We are the health care leaders in providing comprehensive orthopedic care and full spectrum medical and radiation oncology treatment. Community Hospital will proudly continue to champion accessible, high quality and cost effective care for patients in the Grand Valley and surrounding communities and we are steadfast in our commitment to provide a choice in local health care. We invite you to Discover the COMMUNITY Difference! Dalby, Wendland & Co., P.C., (DWC), provides premier financial-asset assessment, advice, and strategies for minimizing your tax exposure and helping you keep more of your own money. With six offices, Dalby, Wendland is the largest public accounting, audit, and business advisory firm headquartered in western Colorado. We serve a broad range of individual, business, government, nonprofit, and other clients throughout the region, state, nation, and in other countries. Services we provide includes, tax preparation/filing and planning (including multi-state); accounting; audit and assurance; bookkeeping and payroll; business owner succession planning; business valuation; CFO outsource and consulting; cost segregation studies; employment benefit plan audits; estate, trust, and gift tax planning; forensic accounting; fraud investigation; litigation support services, receivership; risk management; and much more. Since our beginning in 1948, we have built extensive and trusted relationships with our clients. Our core purpose is simple – we help our clients, our people, and our communities to be better. Our professional team members dedicate their skill, passion for people, and values of integrity and quality to provide clients with proactive and innovative, personally-tailored solutions. In today’s business environment, it is critical to have advisors on your team who understand the important implications of new legislation and tax laws that directly affect business and personal finances. 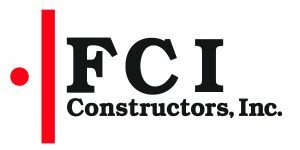 FCI has grown from its founding in Grand Junction, Colorado in 1978 to a regional leader in commercial construction with offices in Longmont, Durango, Phoenix (Arizona), Cheyenne (Wyoming), Williston (North Dakota), Edmond (Oklahoma), and Aztec (New Mexico). Recognized as one of Engineering News-Record’s Top 400 Contractors since 1998, FCI has been at the forefront of the industry in customer service, safety, technology, and sustainable building. An employee-owned company, FCI’s 295 personnel are stockholders with a vested interest in the success of each and every client project; they work hard to provide the best value and service the industry has to offer. Philanthropic support and community engagement are fundamental to FCI’s corporate culture. FCI understands that the core values of any business are a direct reflection of its people. Driven by strong values of trust, hard work, honesty, and professionalism, FCI employee owners,when not building client projects, can be found coaching little league, serving in leadership positions on non-profit boards of directors, fundraising for special projects, participating in service clubs, and reading with elementary school students in communities across the region. The City of Grand Junction is a full-service municipal government organization providing a broad range of services for the citizens of Grand Junction. The organization, which employs over 600 full-time employees and hundreds of part-time and seasonal employees, is comprised of seven departments: Public Works, Police, Fire, Parks and Recreation, Utilities, Visit Grand Junction, and Administration (comprised of City Manager, City Attorney, City Clerk, Finance, General Services, and Human Resources). Services provided by the City of Grand Junction are primarily funded by sales and use tax revenues, fees, property taxes, and grants. Grand Junction was founded in 1882. In 1921, the citizens of Grand Junction voted to employ the Council-Manager form of government, which became popular in the early part of the 20th Century. This system combines the political leadership of elected officials with the managerial expertise of an appointed, professionally trained, local government manager. The members of the City Council are elected by the citizens of Grand Junction to make policy decisions and laws, similar to a board of directors in a private company. The City Council members select a Mayor from amongst themselves each year in May. Rocky Mountain Health Plans (RMHP) began in 1974 by physicians and community leaders right here in Grand Junction on the fundamental idea that Coloradans deserve access to high-quality health care. RMHP remains true to this mission today by continually striving to do the right thing for our Members, partners, and communities. We’re proud to offer health insurance coverage to individuals of all ages and businesses of all sizes, including employers, individuals and families, retirees, and beneficiaries of Health First Colorado (Colorado’s Medicaid Program) and Child Health Plan Plus. The health of our Members is our priority. Every action we take supports our philosophy and commitment to whole person care, working with our partners to assess and care for the behavioral, physical, and social health needs of our local communities. We have seen many changes over the last 45 years, but RMHP prides ourselves on our ability to adapt. By putting our Members first and working toward the good health of the communities where we live, work, and play, RMHP is able to uphold the standards our fellow Coloradans expect and deserve. Healthcare should empower you to be your personal best. Whether you are ill, injured or working to maintain good health, having the right support is invaluable. For over a century, SCL Health St. Mary’s Medical Center has been the region’s most reliable source for information and care. From medical and surgical services, to online programs and libraries, to support groups and seminars, we help empowered you to manage your health and wellbeing, and that of those you care for. Since the Sisters of Charity of Leavenworth (SCL) opened St. Mary’s in 1896, we have maintained an unwavering focus on fostering health and healing. As part of our community commitment and patient-first approach to excellence, we are continuously finding new ways to take personalized care to the next level. Consistently top-rated in Patient Safety and care. The region’s highest-level Trauma Center and Emergency Department with specialized care for critically ill or injured patients, including CareFlight air ambulance services to remote locations. The area’s most comprehensive Cancer Center offering advanced diagnostics and treatment services in a peaceful, optimistic environment. The region’s only Stroke Center earning the American Heart Association’s Gold-Stroke Plus award. Modern treatments and healing traditions offered through our Integrative Health and Healing Center. A new Heart and Vascular Institute, which will be the most advanced surgical facility in the area. Telemedicine services including our pediatric collaboration with Children’s Hospital to help keep people close to home and close to world-class care. Orthopedic and rehabilitation services to keep you active and pain free in our beautiful Colorado playground. One of Colorado’s few Baby Friendly birthing centers, as recognized by the World Health Organization and UNICEF. The region’s most advanced Women and Children’s services including high-risk prenatal care and Neonatal Intensive Care (NICU) services. When you choose SCL Health St. Mary’s, you aren’t limited to the doctors and nurses at our main location. You gain access to SCL Health’s coordinated, region-wide network of hospitals, clinics, general physicians, specialists, home healthcare, hospice, mental healthcare and safety net services. Learn more at stmarygj.org. U.S. Bank’s heritage dates back to 1887 through Grand Valley National Bank, First National Bank in 1933, Central Bank of Grand Junction in 1987 and Colorado National Bank in 1993. U.S. Bank provides a diverse mix of products designed to help virtually anyone or any business achieve their financial goals. The bank also provides many types of mortgage loans and its loan officers work with the individual customer to find the right loan program, whether it is for a first-time homebuyer or someone who is refinancing a home they have owned for many years. U.S. Bank serves businesses of any size, from an individual who is taking the first steps to start a small business, to a large company with a long history. The company offers a complete set of traditional and online services that can help any business stay ahead, including real-time cash flow management, working capital financing, payments options, trust services and equipment leasing. And of course, U.S. Bank provides traditional deposit and loan products to businesses as well. U.S. Bank looks forward to the opportunity to meet you and help you achieve your financial goals. Credit products are subject to normal credit approval and program guidelines. Some restrictions and fees may apply. See your banker for details. Deposit products offered by U.S. Bank National Association. Equal Housing Lender. Member FDIC. Since opening its doors in 1852, Wells Fargo has been dedicated to helping its customers succeed financially by providing a full range of financial products, services and advice. Led by District Manager Jay Bugarin, Wells Fargo’s 155 team members serve customers through four branches in Grand Junction and Clifton. 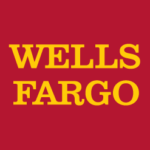 Equally important is Wells Fargo’s commitment to do its part to maintain the Grand Junction area as a dynamic, vibrant place to live, work and do business. Through many small acts of giving and volunteering, the local Wells Fargo team is working to make a big difference. Some of the local nonprofits Wells Fargo supported in 2017 include: Camp Hope, Court Appointed Special Advocates, Central High School Band Parents, Inc., Child and Migrant Services, Inc., Children’s Nature Center, Civil Air Patrol, Clifton Christian Church Food & Clothing, Colorado Discoverability, District 51 Foundation, Grand Junction Imagination Library, Grand Valley Peace & Justice, Grant A Wish, Kids Aid, Kiwanis Club of Grand Junction Foundation, Latin Anglo Alliance Foundation, Inc., Mesa County RSVP Senior Scholar/Handyman Project, MusicSpark, Riverside Educational Center, Thrift Shop of Fruita, and Young Life Grand Valley. Statewide, Wells Fargo contributed nearly $8.4 million to 462 Colorado nonprofits and schools through corporate and foundation giving. Team members volunteered 35,400 volunteer hours in local communities across the state.